The heads of states within the Collective Security Treaty Organization intend to strengthen its role, its current chairman, Belarusian President Aleksandr Lukashenko, said after an informal summit in the Kazakh capital Astana. ­Made up of seven former Soviet republics, Russia, Armenia, Belarus, Kazakhstan, Kyrgyzstan, Tajikistan and Uzbekistan, the organization, which is sometimes referred to as the “NATO of the East,” is aimed at countering external military threats and the defense of the territorial integrity of its member-states. 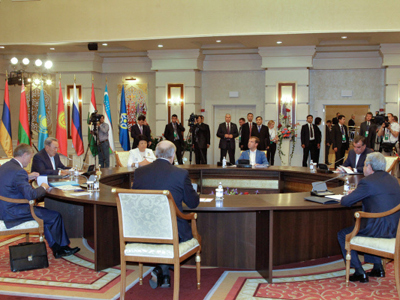 Six leaders have gathered for the summit: Russian President Dmitry Medvedev, Kazakh President Nursultan Nazarbaev, and Belarusian President Aleksandr Lukashenko, whose country currently holds the rotating CSTO presidency, Armenian President Serge Sargsyan, Tajik President Emomali Rakhmon, and Kyrgyz President Roza Otumbaeva. The Uzbek leader Islam Karimov did not attend the summit. As for positive developments, Lukashenko said that by the end of the year they may complete the formation of the Collective Rapid Reaction Force. He added that by December the member states will ratify a package of recently signed international documents within the organization. 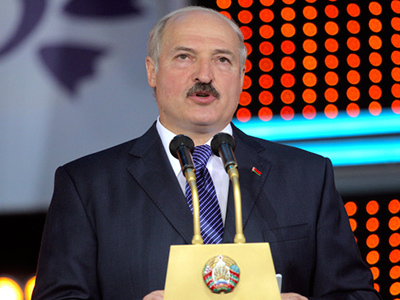 “We [Belarus] have ratified all these documents. 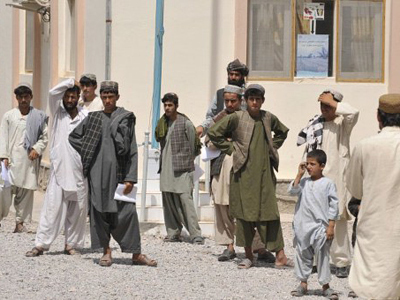 The other countries are now in the process of ratifying them,” Lukashenko went on to say. Another important outcome of the summit was the agreement to jointly counter potential threats in cyber space.